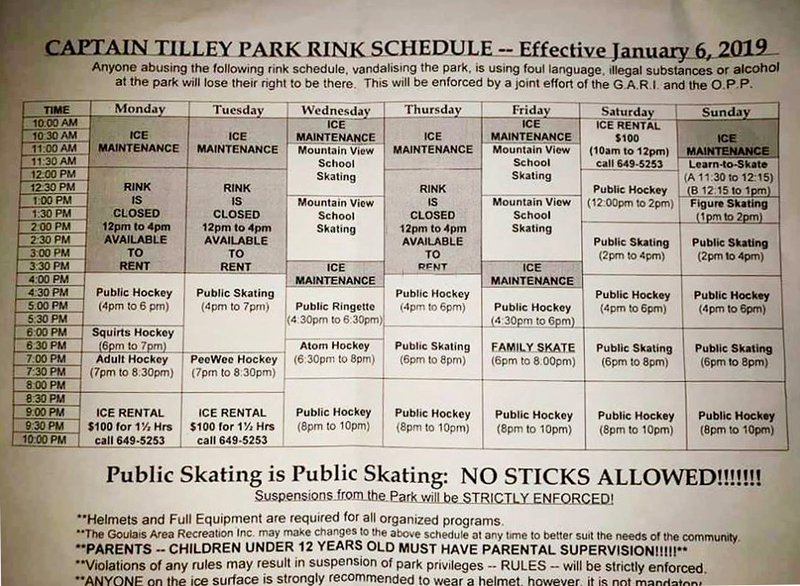 18JAN2019 – As per Aaron Rooley – We are going to amend our Skate Schedule to allow a Tuesday 10:00am – 2:00pm Public Skate. We as a board are unavailable to keep the building open and are looking for someone to be the responsible person for this time slot. The only exception is Ice Rentals which are rare and unlikely for this time period. We will notify if Ice is being rented.